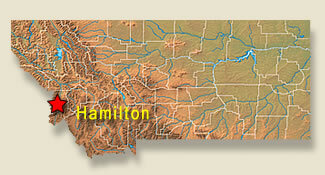 Hamilton is one of six communities located in the scenic Bitterroot Valley. This wide open valley sits between two mountain ranges, the Bitterroots on the west side and the Sapphires on the east. The population of the town of Hamilton is close to 4000, but the patient base for our medical practices extends throughout the valley and beyond into the northern reaches of Idaho and the beautiful Big Hole Valley. Hamilton was founded in 1890 by Marcus Daly, a copper magnate who made his fortune in Butte, Montana. Our largest employers are our local hospital and the related medical businesses. We are home to a branch of GlaxoSmithKline Pharmaceuticals and the world famous Rocky Mountain Laboratory. The latter is a branch of the Centers for Disease Control, the location of the discovery of the causative agent of Rocky Mountain Spotted Fever and only one of a handful of Biosafety Level 4 labs in the United States. Drs. 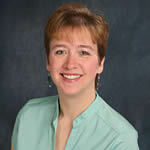 Brouwer and Harder-Brouwer are graduates of Wayne State University School of Medicine and Grand Rapids Family Practice Residency. They have worked together their entire careers in both the public and private sector. They have been practicing in the Bitterroot Valley since 2001, first in a hospital based clinic and then as physician owners of Ravalli Family Medicine. They have two daughters and enjoy traveling and spending time in their cabin near Glacier National Park. 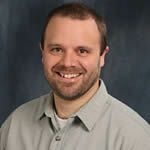 HOSPITALIST ROUNDS: Dr. Brouwer works as a part-time hospitalist at Marcus Daly Memorial Hospital. Students who come to our office will get to shadow him in that role and follow a patient encounter from admission to discharge. NURSING HOME ROUNDS: Both our physicians serve as medical directors of local skilled nursing facilities. In addition to caring for a diverse geriatric population, this experience touches on management in long term care. PROCEDURES: Dr. Brouwer performs both esophagogastroduodenoscopy and colonoscopy for the patients of our clinic and other local physicians. Dr. Harder-Brouwer has a more gynecologic focused practice and performs colposcopy, endometrial biopsy, IUD insertion and removal. All our providers perform a host of dermatology procedures, including removal of basal and squamous cell cancers. To see a map of where we are located and/or get directions from other locations, go to Google Maps. 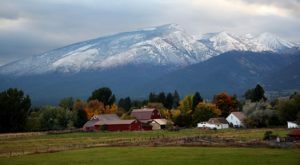 As with most communities in Montana, the area surrounding Hamilton has an abundance of activities for all seasons. The Bitterroot Valley is full of hiking trails, from the easy to challenging. We have a strong community of bicyclists, if you are interested in either road biking or trail riding. Lost Trail Powder Mountain opens early December, with 50+ trails of skiing and an average snowfall of 325” a year. Both cross country skiers and snowmobilers can also find ample opportunities in our valley. For those who prefer a more laid back evening, you can take advantage of our movie theater equipped with 3D technology, sip brews at one of our 5 breweries or enjoy at evening of cowboy poetry at the Ravalli County Museum. The climate for Hamilton is moderate. This area is well-known as the “Banana Belt” of Montana because of the mild weather for a northern area. While snowfall in the valley is only about 6 inches per year, the mountain areas, such as at the lost Trail Ski area, average about 200 inches per year. Most days are sunny with about 270 such days each year. The weather in Hamilton is not severe. Hamilton average annual rainfall is 12-15 inches per year Hamilton average annual snowfall is 6 inches per year.